If you live in or around Alpharetta, Georgia, and you own and operate your own business, or if you have legal needs involving real estate law and estate planning, you can turn to Lerman Law Associates, P.C., for the quality, effective counsel you need to protect your most important assets and put your company on a path to success. 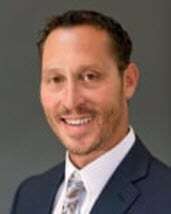 In addition to possessing more than 16 years of successful legal experience, attorney Craig Lerman also holds a Master of Business Administration. This means he has extensive knowledge regarding all areas of business law, which makes him all the more effective at helping you achieve your goals and increasing your chances of obtaining the positive results you seek. Dedicated to establishing long-term relationships with those he serves, Mr. Lerman offers retainer agreements for his commercial clients. By taking advantage of this offer, you will have access to on-going counsel to assist with your day-to-day operations and other legal matters without having to incur the expense of a full-time, in-house attorney. No matter how large or small your issue, Lerman Law Associates, P.C., is here to serve you and help you solve your problems efficiently and cost-effectively. To find out more, you can contact their law office or visit their website to schedule a free initial consultation.